The Night Parade opens in the thick of the action, with David Arlen and his 8-year-old daughter Ellie on the run from authorities. A disease known as Wanderer’s Folly is sweeping across the globe, killing millions of the people in the worst outbreak in recent memory. He is consumed with fear about what he may need to do to keep his daughter safe and it has been at least 2 days since he has slept. All they have with them is some extra food and clothes, $600 and some games. He also has a gun with 2 boxes of ammo, but he has never shot one before and doesn’t know if he will even be able to use it on someone should it come to that. David and Ellie are racing across the country, trying to survive and elude the people who are after them both. David is keeping secrets from his daughter about why they are on the run and what really happened to her mother. As they journey across the United States, David and Ellie will be faced with horrifying challenges that will put their relationship to the ultimate test. The Night Parade is a novel that made a lasting, emotional impression on me and as is the case with most of Malfi’s work, his characters and the way he handles their personalities is large reason for that. The Night Parade is meant for any reader, but as a soon-to-be father, the characters of David and Ellie are the ones I gravitated towards the most. Malfi does an excellent job bringing readers into their family dynamic and getting to know them is part of what makes this novel great. I am about to have a daughter of my own and I couldn’t help but connect with David. Sure, he makes plenty of mistakes along the way, but I can relate to his desire to protect his little girl at all costs. It is the small moments that occur throughout the novel that really show these characters personalities and makes the characters come to life. While David and Ellie are on the run, David is often overcome with doubt about his plans to keep them safe and to keep people from recognizing them. That doubt is very realistic. Most post-apocalyptic novels feature ordinary people who adapt to their environment with ease, mastering the art of stealth and survival almost instantly. As much as we would all like to think that is how we would react in an apocalyptic scenario, the truth is most of us would probably be like David. David has some good ideas on how to stay safe, but it is clear he is an amateur in situations like these and he is often filled with doubt and fueled by adrenaline.“I learned that when you become a parent, you become a secondary character in the story of your own life.” That one simple line struck a chord in me and really sums up David’s character pretty accurately. He is always putting his daughter first, consequences be damned. While I connected to David the most, I think Ellie is the most interesting character in The Night Parade by far. Ellie is intelligent and often asks David probing questions while they are on the run that proves she doesn’t necessarily believe everything her father is telling her. Ellie may only be 9-years-old, but she is incredibly brave and resourceful. No matter what horrors she faces, she never seems frozen by fear and sometimes her actions are the only reason they get out of danger. There are quite a few moments in The Night Parade where it may seem like some of the things she does seem unrealistic given her age, but once you learn more about Ellie, it makes perfect sense. She also serves as a moral compass to some degree. When David breaks into an abandoned store, she scolds him for breaking and entering. When he tries to joke that there is no cops, she says that it still doesn’t make it right. She also is constantly questioning her father’s choices, asking him why they made that choice and asking how it is different from what other people do. It really makes you question what you would do in that situation. I really wish I could talk more about what makes Ellie such a great character, but that would ruin the journey for readers. Trust me though, once you get to know Ellie, you’ll love her. While they are great characters on their own, the strength of these characters comes from the great portrayal of their relationship. David is trying his best to keep her safe, but Ellie is often mad when she feels like David is treating her like a little kid. As the novel progresses, we see David struggle with the fact that his little girl is growing up and Ellie begins asserting her independence. While you would think David would be the one primarily taking care of Ellie, they form more of a partnership. There are moments where David relies on his daughter, like when he is inspired by Ellie’s childhood quirk of lining toys up in front of the door. David remembers that memory and sets up mace and lighters in front of the door like an alarm system. There are also scenes where they are faced with real horrors and danger, and David uses jokes to try to take Ellie’s mind off of the craziness going on around them. I also really liked David’s brother, Tim. Tim is the type of person who was born to survive these situations. He has always been paranoid over government surveillance, so he stopped carrying a cell so the NSA couldn’t track him. He also loved living off the grid, so he was able to cultivate the skills to be self-reliant well before the outbreak occurred. Tim is bursting with personality and has the ability to crack a good joke. Where as he was portrayed as kind of an oddball earlier in the novel, he is a really interesting character. He is entrepreneurial even in the face of the apocalypse and runs all kinds of businesses, including making his own moonshine. He is also super smart, using a childhood memory as a code between him and David. He is a pragmatist, but he does hold out hope for optimism. I also thought it was interesting that Malfi takes a look at how society may react to such a horrific disease outbreak. In the aftermath of the outbreak, cult-like groups begin popping up all over the country. The most well-known group is the “Worlders”. They believe the Folly is a biological version of the biblical flood, a way to wipe the slate clean and start over. They are one of the more widely known groups and are frightening in their methodology, but they are far from the only group out there. I thought the addition of these groups was a nice touch because it makes the events surrounding the Wanderer’s Folly outbreak more realistic. It only makes sense that people would band together to form groups to help cope with the new reality they are faced with and in some cases, use to exploit their agendas. While the characters of this book are what really connected with me, I was impressed with Malfi’s catalyst for the apocalypse. Wanderer’s Folly is a devastating disease that is unlike anything scientists have ever seen before. One of David’s co-workers likened it to The Black Death, where there are no answers or ways to stop it because no one has ever seen anything quite like it. No one is sure where it came from or how it is contracted. All scientists really know is that it poisons, attacks and ultimately kills the brain. Due to how widespread it was, it was initially thought to be airborne, but that was later proven to be a myth. Others thought it was already in the human body, just waiting for a trigger to set it off. It has a varied incubation period and people who have the disease could last for hours or weeks. What makes Wanderer’s Folly so interesting isn’t that it is incredibly lethal or the effects it has on people (though those are important components to the story), but rather the fact that it is believable. It seems like Malfi did a lot of medical research in order to make Wanderer’s Folly a believable illness that will chill readers because it sounds like a supercharged version of a real-life disease that already affects millions of people worldwide. The reaction to the disease is also very realistic. People wear those cheap carpenter masks over their mouth after it was initially suggested that the disease was airborne. Though it was quickly proven that they were useless, people still clung to the hope they provided. People also wore them as a status symbol almost to show they were free of the disease, a sort of xenophobic reaction that caused divides among people. That attitude let people to be suspicious of even the most minor, ever day things. I really liked Malfi’s use of setting. There are some lines that Malfi uses to describe his setting that are so simple, and yet beautiful in how striking they are. Take this one for instance, “He could smell gasoline and could hear the buzzing cadence of insects in the surrounding trees”. Trying to pick out all of the great settings in The Night Parade could be a review by itself, but I loved Tim’s compound. There are “No trespassing” signs everywhere, the windows are all shuttered, and there are antenna’s all over the roof. Basically, it is exactly what you would imagine a conspiracy theorists house to look like. The Night Parade is a post-apocalyptic novel and while you may have preconceptions about what the world is like, I really liked the way that Malfi approached it. It wasn’t complete devastation with the world turning into nothing but one indistinguishable swath of wasteland, it was a gradual change. The events take place over the course of about two years. Over that time, there is chaos and paranoia, but the world Malfi envisions in The Night Parade is halfway between normal and the sort of apocalyptic scenario you would imagine. The grid hasn’t collapsed and people still go about their lives, it’s just that they are so debilitated by paranoia. They are staying in a motel in a rural downtown area and most of the shops were closed. There is great description here about blackened windows, weeds bursting from cracks in the sidewalks. However in the midst of all that disrepair and seeming desolate stretch of town, there is a convenience store that is still open, despite the fact all of the stuff inside seems old and mismatched. David and Ellie also spend some time in a town long thought to be abandoned called Goodwin. However, you can’t always believe what you read as Goodwin isn’t as empty as it appears. When they first arrive, they see signs with biblical messages and crosses erected all over the shoulder leading into town. The Night Parade has an interesting structure in that it alternates between flashbacks showing the origins of the disease and the present. As the main narrative progresses, so does the “flashback” story line. Any time there are alternating timelines, I feel like that is a risky choice because it can confuse the reader. However, Malfi pulls it off with ease. Each narrative is engaging and it helps keep the novel from hitting too many lulls. By relegating the outbreak largely to the flashback chapters, it allows Malfi to dive in right to the action and the mystery it cultivates hooks readers and makes them want to learn more. Also, rather than have everything result from one devastating incident, the outbreak of Wanderer’s Folly is slowly revealed over the period of two years until it finally merges with the “present day” story line. There is also a lot of foreshadowing that goes on and that attention to detail and nuanced storytelling is why Malfi is one of my favorite writers. There are plenty of creepy scenes throughout The Night Parade, but they are more about building a feeling of dread than over the top scares or buckets worth of blood and guts. A majority of them come as a direct result of the Wanderer’s Folly, where Malfi takes situations that would otherwise seem harmless and mundane and warps it into something deeply unsettling. A prime example of that would be an early scene where David and his wife Kathy hear ice cream truck music in the dead of winter. That is the first time in my life I have ever been afraid of that recognizable jingle and once you read it, you will understand why. It is moments like that and the interactions David has with people afflicted with the disease that make the Wanderer’s Folly scarier than any supernatural being or monster. It inflicts a surreal element into everyday life and that sense of strangeness is downright frightening. Then there is the moment that David and Ellie meet Solomon. I still can’t get over that scene! 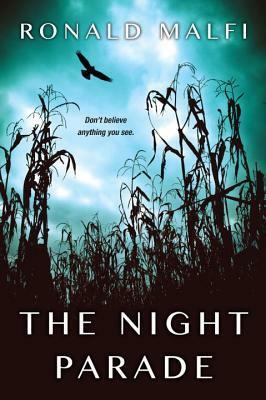 While The Night Parade is a post-apocalyptic novel with one of the creepiest, most devastating catalysts that I can remember, it really boils down to one family’s fight for survival and to stay together at all costs. There are so many reasons that I could list for The Night Parade being one of my favorite novels of the year – great characters, a brilliant disease that launches the apocalypse, or some truly pulse-pounding scenes – but the main reason I loved this was its emotional impact. I mentioned why I was so drawn to David and my own personal situation that made this book standout for me, and that is a big part of it. But man, there is just no denying Malfi’s ability to get readers to emotionally invest in his characters. After riding across the country with David and Ellie, you get to know them intimately and there are numerous moments between them that just tug at the heartstrings. I’m not going to lie, there were quite a few times while I was reading this that I got a bit misty-eyed. That almost never happens, whether it is a book or a movie, but I’ll be damned if this book didn’t make me tear up a bit. This story is scary, but it has a ton of heart. I really can’t praise this one enough, and if you enjoyed Josh Malerman’s Bird Box or Cormac McCarthy’s The Road, you are going to love The Night Parade! Purchase The Night Parade: Amazon, Barnes & Noble, or grab a copy from your favorite bookstore! Then the insects took over. Then the madness began . . . They call it Wanderer’s Folly–a disease of delusions, of daydreams and nightmares. A plague threatening to wipe out the human race. After two years of creeping decay, David Arlen woke up one morning thinking that the worst was over. By midnight, he’s bleeding and terrified, his wife is dead, and he’s on the run in a stolen car with his eight-year-old daughter, who may be the key to a cure. Ellie is a special girl. Deep. Insightful. And she knows David is lying to her. Lying about her mother. Lying about what they’re running from. And lying about what he sees when he takes his eyes off the road . . .
Ronald Malfi is an award-winning author of many novels and novellas in the horror, mystery, and thriller categories from various publishers, including The Night Parade, this summer’s 2016 release from Kensington. In 2009, his crime drama, Shamrock Alley, won a Silver IPPY Award. In 2011, his ghost story/mystery novel, Floating Staircase, was a finalist for the Horror Writers Association Bram Stoker Award for best novel, a Gold IPPY Award for best horror novel, and the Vincent Preis International Horror Award. His novel Cradle Lake garnered him the Benjamin Franklin Independent Book Award (silver) in 2014. December Park, his epic childhood story, won the Beverly Hills International Book Award for suspense in 2015. Most recognized for his haunting, literary style and memorable characters, Malfi’s dark fiction has gained acceptance among readers of all genres. He was born in Brooklyn, New York in 1977, and eventually relocated to the Chesapeake Bay area, where he currently resides with his wife and two children. 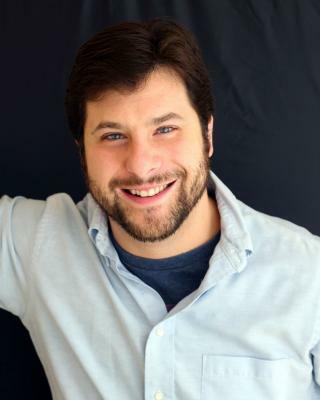 Visit with Ronald Malfi on Facebook, Twitter (@RonaldMalfi), or at www.ronmalfi.com. Want to feature this book/author? If you are a blogger, author, or member of the media and you would like to feature The Night Parade or Ronald Malfi in a review or interview, please contact Erin Al-Mehairi, publicist, at hookofabook@hotmail.com. Thanks! Great review of a great novel. I agree that the characterization of Ellie, David & Tim really made this book something special. I’ll have to read more by this guy.